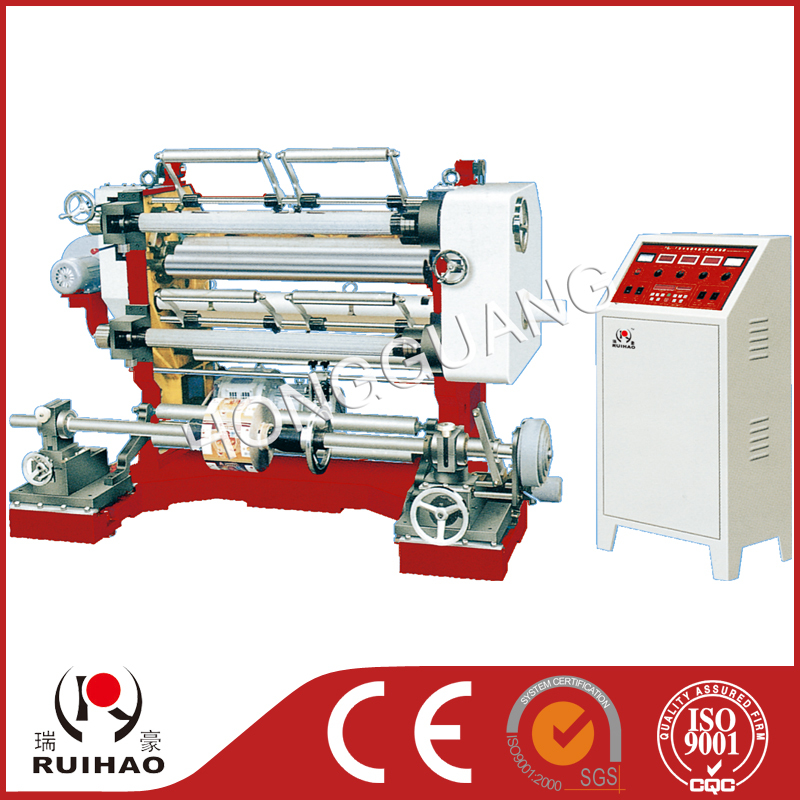 This machine is suitable for BOPP, PET, CPP, CPE, PVC, PE, the aluminum foil, the paper and so on each kind of volume shape material minute strip, carries on the cutting edge in the production process according to the different need to the material, divides cuts and so on. 1st, the this aircraft is the vertical minute strip machine. 2ed,Independent always controls the screen, the operation is more nimble conveniently. 3th,Puts the volume to correct an error automatically, the light electric eye is suitable for the track transparent material edge and the color . 4th,Puts the volume tensity to use the magnetic powder brake control. 5th, receives the volume to use the magnetic powder clutch control . 6th,Side, is equipped with the material wind to deliver or the volume takes the installment (time ordering chooses). 7th,Walks material length automatic idea Mi. 8th,Receives the press roll to cause the volume material to be smoother. 9th,A pair of gas zhang receives the reel.